The Holtec nuclear waste storage canisters at San Onofre are lemons and must be replaced with thick-wall casks. 11/29/2019 Oceanside: The Nuclear Regulatory Commission (NRC) admits in their November 28, 2018 NRC Inspection Report and Notice of Violation, ML18332A357 (page 8 and 9) every Holtec canister downloaded into the storage holes is damaged due to inadequate clearance between the canister and the divider shell in the storage hole (vault). The NRC states canister walls are already “worn”. This results in cracks. Once cracks start, they continue to grow through the wall. The NRC stated Southern California Edison (and Holtec) knew about this since January 2018, but continued to load 29 canisters anyway. Edison’s August 24, 2018 press release states they plan to finish loading mid 2019. The NRC states Edison must stop loading canisters until this issue is resolved. However, there is no method to inspect or repair cracking canisters and the NRC knows this. The Holtec thin canister system is a lemon and must be replaced. Demand they replace all thin-wall canisters with proven thick-wall casks before it’s too late. Ratepayers didn’t pay for lemons. Why No Tribal Voices on San Onofre Waste? When SONGS Community Engagement Panel Secretary Dan Stetson asked about Native American involvement in the process of dealing with San Onofre’s 3 tons of nuclear waste, Edison’s Tom Palmisano assured the Panel that tribal governments had been consulted as part of normal procedure. Apparently he was misinformed. Tribal spokeswoman Angela Mooney-D’Arcy, Acjachemen tribe member and Executive Director of the Sacred Places Institute. denied that regional tribal governments had been consulted, and she had documents to prove it. ACTION ALERT: Your voice is needed. The Coastal Commission is meeting for 3 days in San Diego May 10th, 11th and 12th. Please attend and request Southern California Edison (SCE) not be allowed to destroy the spent fuel pools. SCE will be submitting a request to destroy the spent fuel pools once they are empty. San Onofre is not on the agenda. However, the Commission allows 3 minute public comments on items not on the agenda. Public Comments for non-agenda items start at the beginning of the meeting each day. The pools are the only NRC approved method to replace cracking and leaking canisters. Canisters with even partial cracks are not approved for transport per NRC Safety regulations, and there is no method in place to repair them. Existing San Onofre canisters have been in use as early as 2003. According to the NRC, the Koeberg nuclear plant in South Africa had a comparable container leak in only 17 years. No one knows how many cracks are in the existing San Onofre canisters or how deep the cracks are. Once a crack starts, it will continue to grow through the wall of the canister. Also, there is no seismic rating for partially cracked canisters or for the vented concrete structure they are stored in. Since canisters cannot be inspected for cracks, we will only know after they leak, so pools must remain and be maintained until all nuclear fuel waste is removed from San Onofre. The Commissioners should not approve destruction of the pools until nuclear fuel waste is removed from the site. Wednesday, May 10, 2017, 8:30 a.m.
Thursday, May 11, 2017, 8:30 a.m.
Friday, May 12, 2017, 8:30 a.m. The Santa Monica consumer group that prompted an investigation into Gov. Jerry Brown’s top aide’s contacts with regulated utilities earlier this year has built a searchable public database of thousands of internal emails to and from her former employer, Pacific Gas & Electric, and others. The emails, released under the California Public Records Act and as part of the utility’s response to the 2010 gas pipeline explosion in San Bruno, were posted by Consumer Watchdog on a new website called PUCPapers.org. The California Public Utilities Commission has been under criminal investigation since 2014 for its handling of the San Bruno explosion as well as the premature closure of the San Onofre Nuclear Generating Station in 2012. “The documents have already uncovered cozy dealings between regulated utilities and the government that go far beyond former PUC President Michael Peevey and one disgraced PG&E executive, to extend throughout the PUC, the Governor’s Office and other government agencies,” said Jamie Court, the Consumer Watchdog president. In total, the database contains more than 130,000 emails and other documents exchanged between state regulators and utility executives, largely related to the San Bruno explosion, the San Onofre closure and the approval last year of the Carlsbad Energy Center power plant. Much of the material previously was posted on the commission’s website in 2014 and 2015 or released to consumer groups under the public records law. But officials did not make the database searchable. Earlier this year, Consumer Watchdog uncovered emails that reference former PG&E executive Nancy McFadden’s exchanges with Peevey and former utility colleagues, who appeared to have been discussing ways to get more utility-friendly people appointed to the commission. McFadden, who resigned from PG&E in 2010 to become Brown’s executive secretary, became the subject of a Fair Political Practices Commission investigation in March after failing to disclose stock transfers and holdings regarding PG&E. She amended her disclosures but the case remains ongoing. According to PUCPapers.org, McFadden’s name came up at least 1,300 times in emails and other records, reflecting both her time at PG&E and her work as top aide to Gov. Brown. CARLSBAD, CALIFORNIA – Former Prime Minister Junichiro Koizumi has thrown his support behind a group of former U.S. sailors suing the operator of the Fukushima No. 1 nuclear plant. The sailors claim health problems they now suffer were caused by exposure to radiation after a triple meltdown at the plant following an earthquake and tsunami in March 2011. The lawsuit was lodged in 2012 against plant operator Tokyo Electric Power Co., which was last month renamed Tokyo Electric Power Company Holdings Inc. The plaintiffs include crew members of the U.S. aircraft carrier Ronald Reagan, which provided humanitarian relief along the tsunami-battered coastline in a mission dubbed Operation Tomodachi. Koizumi spent Sunday through Tuesday meeting 10 of the plaintiffs, asking about the nature of the disaster relief they undertook and about their symptoms. “I learned that the number of sick people is still increasing, and their symptoms are worsening,” he told the news conference. Koizumi called on those in Japan, both for and against nuclear power, to come together to think of ways to help the ailing U.S. servicemen. The group of about 400 former U.S. Navy sailors and Marines alleges the utility did not provide accurate information about the dangers of radioactive material being emitted from the disaster-struck plant. This led the U.S. military to judge the area as being safe to operate in, resulting in the radiation exposure, the group claims. One of the plaintiffs at the news conference, Daniel Hair, said Koizumi’s involvement made him feel for the first time that Japan is paying serious attention to their plight. According to lawyers for the group, seven of its members have died so far, including some from leukemia. Koizumi, who served as prime minister between 2001 and 2006, came out in opposition to nuclear power in the wake of the 2011 disaster. He has repeatedly urged the administration of Prime Minister Shinzo Abe to halt its efforts to restart dormant reactors across Japan. The company Holtec mentioned here is the company making the San Onofre nuclear waste storage system that the California Coastal Commission approved in 2015 to be installed at the ocean adjacent to millions of people in Southern California. The canisters are not inspectable and may be prone to cracking. But what could go wrong? April 26, 2016 will mark the 30th anniversary of the catastrophic explosion of the 4th reactor at the Chernobyl power plant, the effects of which are felt to this very day. This comes at a time when alarming news has arrived which evokes concern over the future of Ukraine’s nuclear industry. The problems started along with the “Maidan” coup backed by the US and EU, because Washington immediately started to lobby for a large deal in its own interests, including nuclear industry projects. The Ukrainian state enterprise Energoatom and the Westinghouse Company (US), agreed in 2014 to extend the contract to supply Ukrainian nuclear power plants with US nuclear fuel, until 2020. But the use of US produced fuel for Soviet reactors is not compatible with their design, and violates security requirements, and could lead to disasters comparable with what happened in Chernobyl. The International Union of Veterans of Nuclear Energy and Industry (IUVNEI) issued the following statement on April 25th, that “Nuclear fuel produced by the US firm Westinghouse does not meet the technical requirements of Soviet-era reactors, and using it could cause an accident on the scale of the Chernobyl disaster, which took place on the 26th April 1986.” The IUVNEI brings together more than 15,000 nuclear industry veterans from Armenia, Bulgaria, Hungary, Finland, the Czech Republic, Russia, Slovakia and Ukraine. It was founded in 2010 and is headquartered in Moscow. Four years ago, there was a near-miss in the Ukraine, when a TVS-W unit with damaged distancing armatures, nearly experienced a significant uncontrolled release of dangerous radiation. Only by a miracle was there no disaster at the South Ukrainian nuclear power plant. But it did not prevent the signing of the agreement. 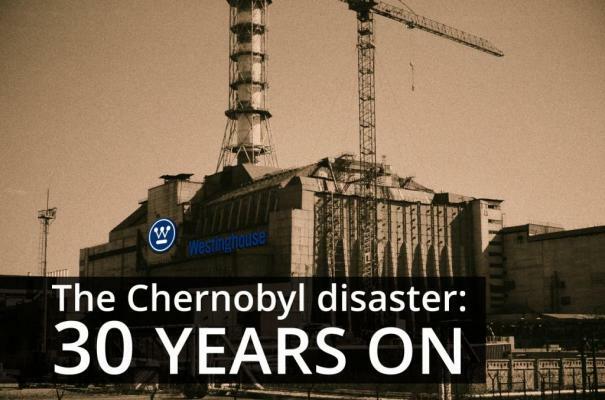 A Czech nuclear power plant experienced a depressurization of fuel elements produced by Westinghouse several years ago, followed by the Czech government’s abandoning the company as a fuel supplier. According to Yuri Nedashkovsky, the president of the country’s state-owned nuclear utility Energoatom, on April 23th, 2014 Ukraine’s interim government ordered an allocation of 45.2 hectares of land for the construction of a nuclear waste storage site within the depopulated exclusion area around the plant of Chernobyl, between the villages of Staraya Krasnitsa, Buryakovka, Chistogalovka and Stechanka in the Kiev Region (the Central Spent Fuel Storage Project for Ukraine’s VVER reactors). The fuel is to come from Khmelnitsky, Rovno and South Ukraine nuclear power plants. At present, used fuel is mostly transported to a new dry-storage facility at the Zheleznogorsk Mining and Chemical Factory in the Krasnoyarsk region, and storage and reprocessing plant Mayak in the Chelyabinsk region; the both facilities are situated in the Russian Federation. In 2003, Ukraine started to look for alternatives to the Russian storage units. In December 2005, Energoatom signed a 127.8 million euro agreement with the US-based Holtec International to implement the Central Spent Fuel Storage Project for Ukraine’s VVER reactors. Holtec’s work involved design, licensing, construction, commissioning of the facility, and the supply of transport and vertical ventilated dry storage systems for used VVER nuclear fuel. By the end of 2011 Holtec International had to close its office in Kiev as it had come under harsh criticism worldwide. It is widely believed that the company has lost licenses in some countries because of the poor quality of its containers resulting in radiation leaks. Westinghouse and Holtec are members of the U.S.-Ukraine Business Council (USUBC). Morgan Williams, President/CEO of the U.S.-Ukraine Business Council, has worked in Ukraine since the 1990’s. Morgan Williams is known as a lobbyist representing the interests of Shell, Chevron and ExxonMobil in Ukraine. He has direct links with Freedom House which is involved in staging “color revolutions” in Eurasia, North Africa and Latin America. One more interesting fact to be mentioned here. In Spring 2014 it was reported that according to covert agreements reached between Ukraine’s interim government and its European partners, the nuclear waste coming from EU member states would be stored in Ukraine. Being in violation of the law, the deal is kept secret. Some high standing officials in Kiev were remunerated. It is said that Alexander Musychko (Sashko Biliy), a prominent nationalist from Rovno, tried to blackmail the Kiev rulers threatening to make the conspiracy public. That’s why he was killed, on the orders of the Minister of Internal Affairs, Arsen Avakov. US is the main manager of the self-isolation of the Ukrainian regime from Russia, which has greatly impacted cooperation between two countries, as well as in the area of nuclear security. The administration of the Chernobyl nuclear plant has stated clearly that the process is going in wrong way. Two dead whales and “it was Mother Nature taking its course.” Really? Just like all the dead marine mammals washing up along the coast? And there will be a lot more than dead whales when those nuclear waste containers crack open that are being buried on the beach at San Onofre. A dead whale washed up Sunday on the cobblestone beach at Lower Trestles, a popular surf spot just south of San Clemente. Todd Mansur, a boat captain for Dana Wharf Sportfishing & Whale Watching, said he has seen two dead whales off Orange County’s shoreline in recent days. He said he saw the one that washed up at Trestles as it neared the water line, and the other one is expected to wash up at San Clemente State Beach in the next few days. Both whales were estimated to be larger than 40 feet. Mansur said that from what he saw, it was Mother Nature taking its course. “It looked like nature. There were no marks from ships, no propeller marks, no abrasions, no entanglements,” he said. Mansur was heading a whale watching charter and asked passengers how they felt about stopping to see the carcass. “They were actually interested, kind of scientifically, about it. I really wanted to check it out to see if there was a reason of death,” he said. He inspected it for about 15 minutes. “It didn’t even look like it was a day dead,” he said. Mansur said he has seen great white sharks eating whale carcasses. And with the number of great whites sticking around Orange County’s coastline because of the warm El Niño waters, it might be a good idea for surfers to stay clear of the area for a while, he said. The presence of other predators rises when dead animals are near, he said. Surfers were taking to social media to warn others about the whale. State lifeguards were not available to comment, so it was unclear what would be done with the whale carcass.